A festival of contemporary music written by composers either from or who have lived in the Upper Peninsula featuring MIT Composer and UP Native Elena Ruehr. Michigan Tech’s Rozsa Center for the Performing Arts, Department of Visual and Performing Arts, and Libby Meyer, Lecturer, Visual and Performing Arts and Director, Music Composition Program, are pleased to present a festival series of three concerts of contemporary music written by composers either from or who have lived in the Upper Peninsula, featuring Massachusetts Institute of Technology (MIT) Composer and UP Native Elena Ruehr. There will be a Master Class presented by Dr. Ruehr on Saturday, January 19, at 3:00 PM in the McArdle Theatre, featuring a recital of music by student composers. The festival continues that evening with an intimate evening “Backstage” performance in the Rozsa Center at 7:30 PM, featuring the music of Evan Premo, Libby Meyer, Thomas LaVoy, Abbie Burt Betinis, Carrie Biolo, Patrick Booth, Christopher Plummer and featuring Elena Ruehr's Third String Quartet. The final concert of the festival will take place on Sunday, January 20, at 3:00 PM in the McArdle Theatre, and will present music by Griffin Candey, Josh Loar, Sarah Rimkus, Milton Olsson, Stephen Rush, and featuring the piece Lucy by Elena Ruehr. 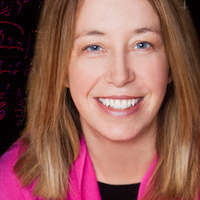 The concert will feature the Superior String Alliance String Quartet, ConScience Chamber Singers, and two works by Dr. Ruehr performed by her Third String Quartet (Saturday) and Lucy (Sunday) a work which will feature ConcertCue, a web application developed at the Massachusetts Institute of Technology for streaming synchronized program notes during a live musical performance. These program notes include text, images, and other rich media, precisely timed to important events in the music. ConcertCue has been used in concerts around the Boston Area and with the Boston Symphony Orchestra. Our hope is the ConcertCue will help you better appreciate and understand the music you hear. Libby Meyer’s interest in natural soundscapes, conservation of special places and curiosity about the relationship between the arts and the natural world fuel her work. She is a co-founder of the Keweenaw Soundscape Project established to aurally document the Keweenaw region and surrounding lands for ecological, social and artistic value has served as an Artist in Residence at Isle Royale National Park and has written a number of compositions inspired by the landscape. In 2016, Libby and colleagues from Michigan Technological University were awarded a grant from the National Endowment for the Arts and National Park Service’s Imagine Your Parks program. The project team recorded soundscapes in the five National Parks on Lake Superior. The results: A visual and sound installation Listening to Parks, which has been on display in various locations around the region, most recently in the Rozsa Gallery A-Space. Please visit the Listening to Parks website for more details. Libby’s recordings can be found on her website libbymeyermusic.com. Please note the Saturday matinee concert is free. Tickets for the Saturday evening and Sunday New Music for a New Year festival concerts are on sale now. Tickets are $15 General Admission, $5 for youth tickets, and no charge for Michigan Tech students with the Experience Tech fee, and are available by phone at (906) 487-2073, online at mtu.edu/rozsa, in person at the Central Ticketing Office, or at the McArdle Theatre or Rozsa Center doors before the performance. Please note the box office doors only open approx. one hour prior to performances.